In Iran, where a repressive government has been in power for decades, two actors have been arrested for appearing in what the local police referred to as a “vulgar” video. 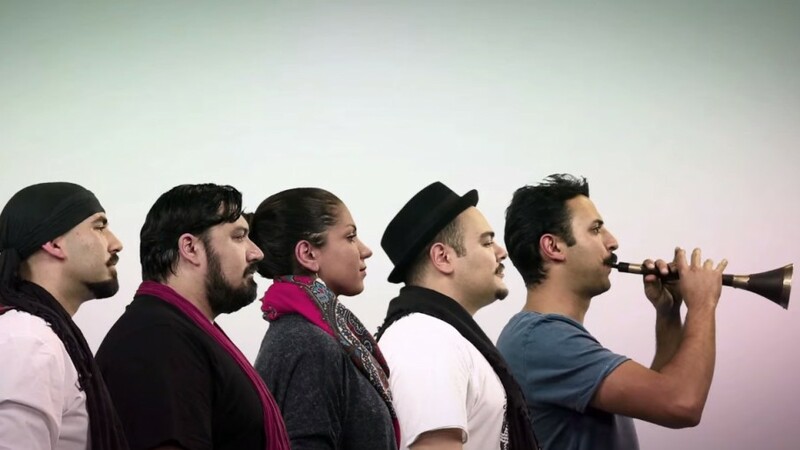 The clip, a music video in support of the Iranian football team currently participating in the Brazil 2014 FIFA World Cup, was produced by the London-based Ajam band and features Iranians from around the world cheering their team on. The actors, both aged 23, are not the first to be arrested in Iran for being in a viral video. Just last month, six persons were picked up in the capital city of Tehran for dancing to the Pharrell Williams’ hit, Happy, in a clip. The Happy video was also called “vulgar” by the Iranian police. Apparently, the authorities were offended by the sight of women not wearing hijabs as well as by men and women dancing together. The latest ‘offending’ video is below.